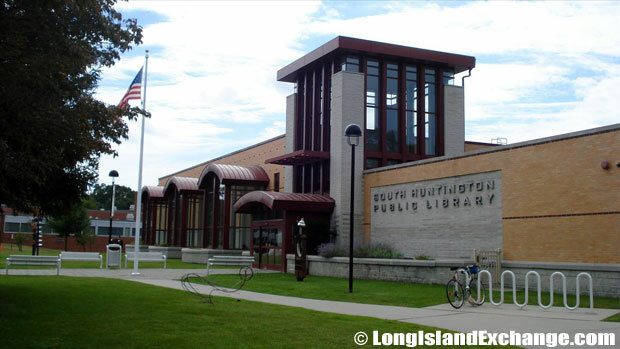 South Huntington is a hamlet and census-designated place located in Suffolk County, Long Island, New York. It is within the Town of Huntington. The county seat is Riverhead. South Huntington has a total area of 3.4 square miles of land. As of the 2010 census, there were 9,422 people, 3,378 households, and 2,500 families residing in the CDP. The median income for a household in the CDP was $88,666, and the median income for a family was $104,355. South Huntington ZIP Code is 11746. Area Code is 631. The latitude of South Huntington is 40.823N. The longitude is -73.399W. It is in the Eastern Standard time zone. Elevation is 207 feet. Stimson Middle School, South Huntington School District. 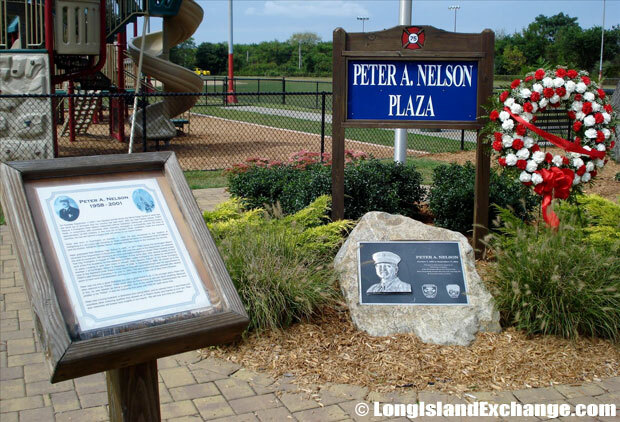 Peter A Nelson Plaza, honoring the fallen New York City and Huntington Manor firefighter. The neighborhood was mostly settled by an English people who came in South Huntington by way of Massachusetts and Connecticut. As a result, they felt more of a kinship with New England than with their Dutch neighbors to the west in New Amsterdam. Town Meetings were the earliest form of government in the area. Called as the need arose, free men of the town gathered to distribute town-held land, resolve disputes, regulate the pasturing of cattle on town land, engage schoolmasters, appoint someone to keep the ordinary (public house) and maintain the roads, as well as resolve any other matters that concerned the community as a whole. Long Island School for the Gifted a private pre-kindergarten to 9th grade school for gifted children, those with an IQ of 130 or over. 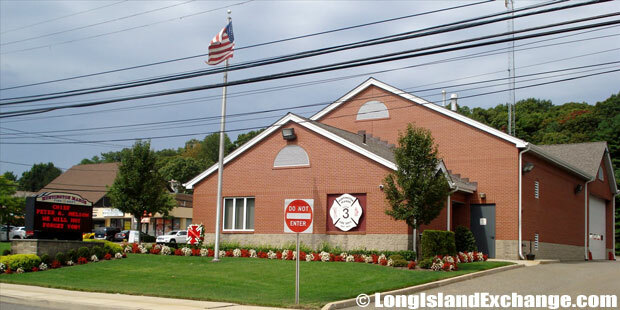 The Huntington Manor Fire Department. South Huntington was known for slavery for domestic servants, but rarely did a person own more than a few slaves. During that time, there economy was heavily dependent on slave labor. In 1799, the New York State Legislature passed an act allowing for the gradual abolition of slavery. After World War II, South Huntington’s economy started to boom by replacing farms and vacant land into housing, schools, highways, recreational facilities and new and expanding business and industry. Walt Whitman, an American poet and essayist, was born in South Huntington in 1819. His family moved to Brooklyn when he was a child but he returned to Long Island as a young man. The racial-makeup of South Huntington comprises of 93.47% White, 0.85% African American, 0.06% Native American, 3.55% Asian, 0.82% from other races, and 1.25% from two or more races. Most of its resident’s ancestries were Italian, Irish, German, English, Polish, Russian, Greek, Arab, Puerto Rican, and Swedish. 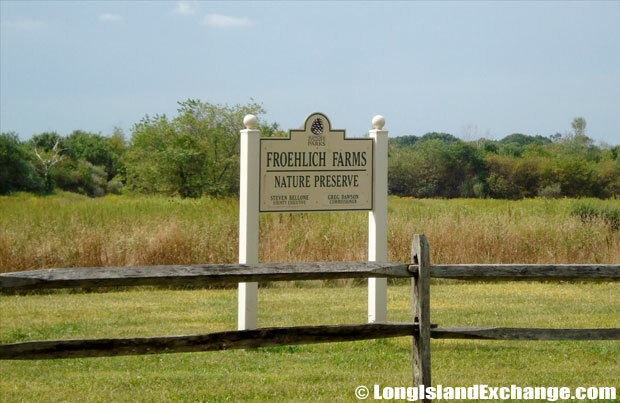 Froehlich Farm Nature Preserve; settlers first used this 310-acre site as a timber resource and for farming in the late 17th century. A school in the South Huntington Union Free School District. South Huntington is served by the South Huntington Union Free School District which has a total of four elementary schools, one middle school, and one high school. The district is committed to provide the positive learning environment on their students to become responsible, respectful, and contributing citizens. Housing units in South Huntington are mostly occupied by their owners, not by renters. Real estate taxes per home are quite higher in the town than most places in New York.